Want to play basketball or climb a wall? What about slides or hopscotch? 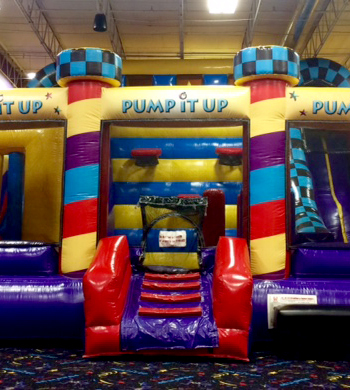 Why not do it all in one of our newest inflatables, the Trilenium Combo. Can your kids make it all the way across the Canyon Crossing without falling? 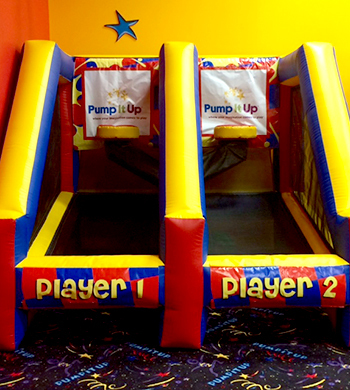 Increase their birthday party fun by letting them jump from ball to ball - but be careful not to wipeout! Have twice the fun while racing your friends to the bottom of this enormous slide. 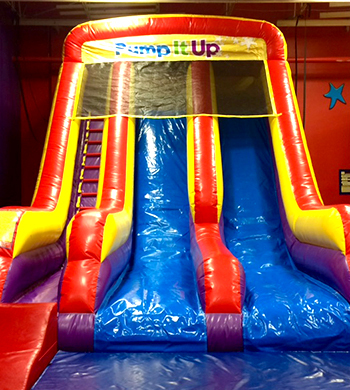 Our double lane slide is 17 feet high and is ready for all kids to come and play. 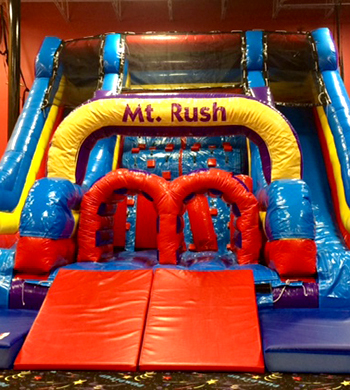 This giant inflatable features a combination of a rock wall and dual lane slide – friends rush to this ride to see who makes it through first! 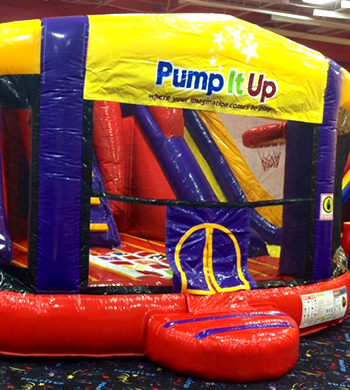 The ultimate inflatable playground combines basketball, rock climbing and sliding into one. Race your friends to see who can finish the fastest! 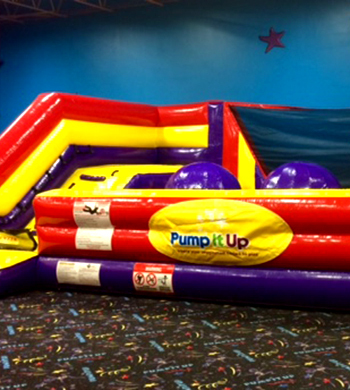 Test your freestyle jumping skills on our bouncer. 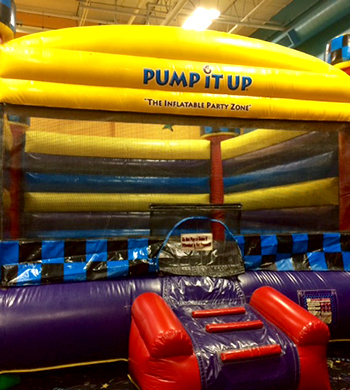 This inflatable is a kids birthday party classic! 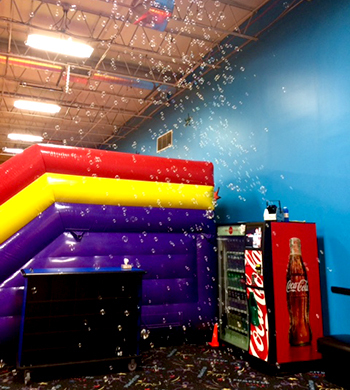 Add some bubbles to your next birthday party! Inspire awe and wonder from the kids in attendance as the bubbles surround them in our arena with this newly added attraction. See who can catch and pop the most bubbles! Turn your birthday kid into a basketball star as they take on their friends in our HOOPS challenge. Who will be the first person to get all your basketballs to the other player’s side? This is the one time at a birthday party where it’s all right as a kid to hear “Knock It Off.” If they can hit all 5 floating each ball from the cone for they’ll earn points. 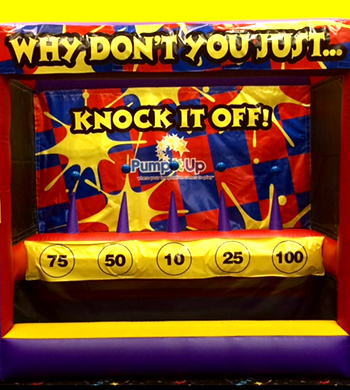 The winner is who can get the most points in this fun, inflatable game! 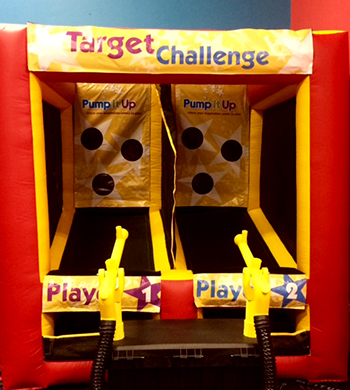 Using our cannonball air cannons, blast the balls through the targets. This super fun two player game is great for all ages. 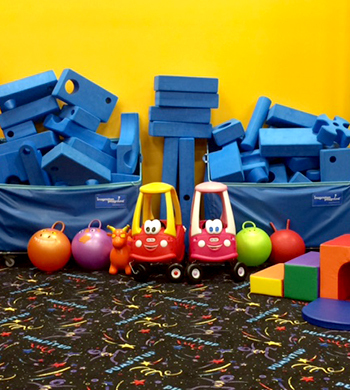 Turn these blocks into a tower, a fort or a bridge – whatever the kids at your next birthday party could possibly imagine. 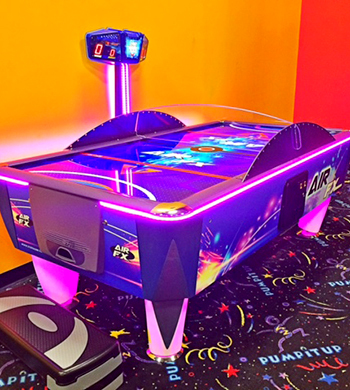 Get your game on at your next birthday party with our awesome Air Hockey Table available during your arena time!